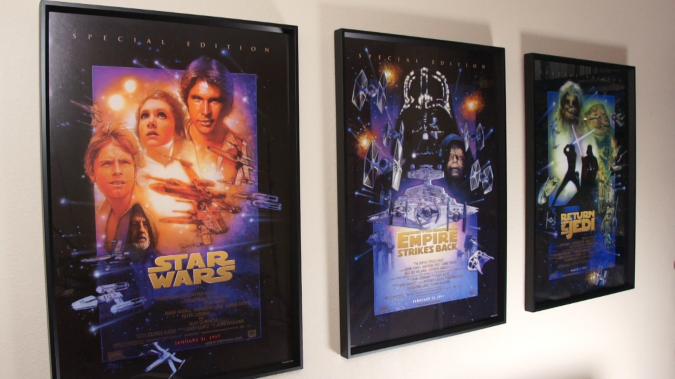 I bought them when the Star Wars Special Edition films were released theatrically in 1997, and they were just sitting in poster tubes until December 2014! They’re hanging in the office now waiting for Episodes I – III to join them, each of which I purchased when their respective movies premiered. Hopefully, these six posters will be joined by another Drew Struzan masterpiece for Episode VII.